Each room divider stores in a 2′ x 3′ space. When not using your Screenflex Room Divider store the closed unit in a 2′ x 3′ space. Need to store multiple room dividers together? No problem! 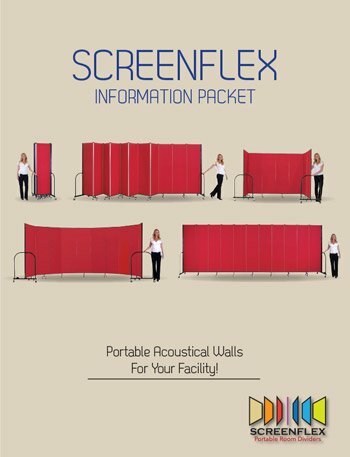 Screenflex room dividers nest together to occupy less storage area. Secured to the bottom of every Standard room divider, a storage latch locks the panels together when the divider is closed. This feature makes it easy to roll the divider with an unobstructed view. To open the divider, simply disengage the latch and open the divider to your desired configuration. Our dividers nest perfectly together for compact storage.